Enables convenient pile cutting on sloped levels without getting out of the cabin! 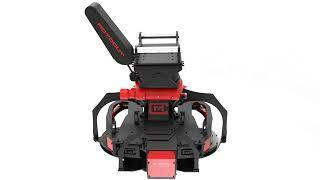 Enables safe pile cutting according to settings in winter conditions as well. We developed accessories and services around the MotoCut pile cutter to accelerate and improve daily operations. Our product family is constantly growing according to customer demand.